CHOLERA-RAVAGED KULA COMMUNITY CRY OUT FOR HELP! 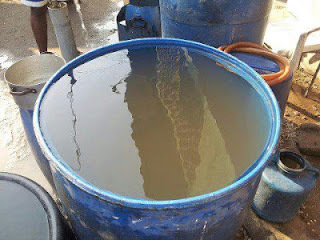 A February 27, 2013 Facebook post by Adesoji Adebisi, matched with a photo evidence, alerted members of Spaces for Change (S4C) network about the conflicting reports of a cholera outbreak in Kula community in Rivers State caused by the lack of potable drinking water. Adesoji’s post provoked intense debate and discussions among concerned members generating over 80 comments full of proposals for mitigating the reported water crisis. To begin with, two members of the network, Penshd Ibiminji Darego and Oraye St Franklyn voluntarily undertook to visit the community to verify the claims of a health crisis, and document the actual water quality situation on the ground. The Rivers State government had in a statement, categorically refuted the story about a cholera epidemic within the community. 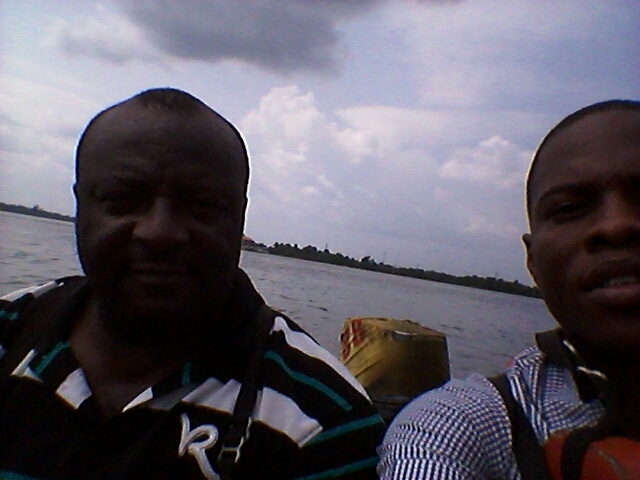 On the morning of March 2, 2012, Penshd and Oraye embarked on a fact finding visit to Kula Kingdom, a bordertown ancient city in Rivers State, situated at the threshold of the Atlantic ocean. The journey, originally planned to commence by 9.am was delayed till about 2 .p.m due to the scheduled state-wide sanitation exercise which triggered a traffic gridlock at the popular East-West road, the only access by road to Abonnema. 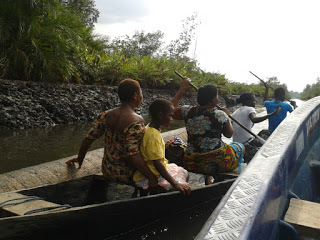 The journey was in 2 phases; one hour drive to Abonnema; the connection point to Kula, and another one and half hours to Kula by sea. 1. Between December 2012 and January 2013, a cholera outbreak in the community resulted in fatalities. It remains unclear if concerted steps were taken by the authorities to address the health impasse. 2. A reservoir, and water treatment plant provided by AGIP/NNPC JV are not functional, and had remained in that state for a long time. 3. Several households maintain private water bore-holes, most of which have no treatment plants. 4. The ground water in most wells at Kula is yellowish in colour, and high on alkaline. Local sources say they consume underground water only after it is treated, but did not state what the water is treated with. Villagers interviewed confirmed that while ground water is widely used for washing and other domestic purposes, clean, potable water is generally unavailable. Unsupervised, children often drink the contaminated water and fall sick. Storing rain water for consumption is commonplace, and used as an alternative to the ground water in the wells. A bold attempt by Oraye to drink of the well water left with troubled with stomach ache. This report represents part of a broader strategy to get youths GET INVOLVED and MOBILIZE FOR CHANGE. 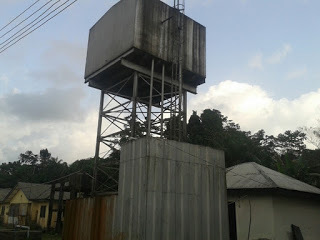 We hope that these findings will not only draw the attention of the state government and the oil companies operating in the area to the appalling state of water conditions in the community, but also propel them to understand the integral links between the availability of potable drinking water and other human rights, especially the right to health. Access to justice must also be available to individuals whose right to water and a healthy environment have been violated.